The One Thing is an original CBC podcast that takes on the big issue that made headlines in the 2017 B.C. election. 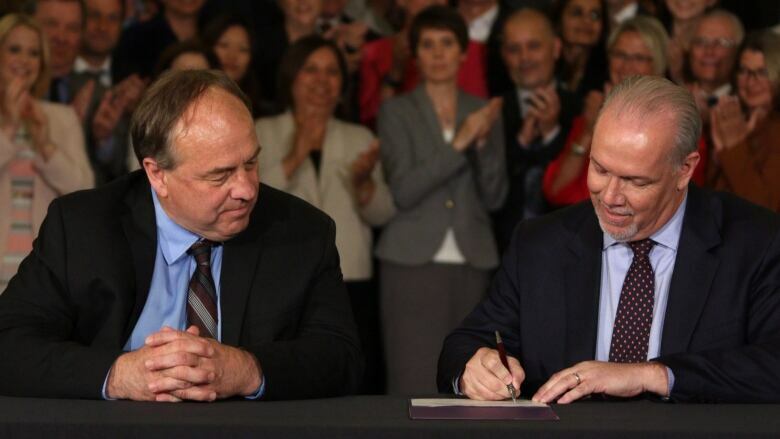 In episode six, CBC reporter Richard Zussman looks at the historic deal signed by NDP Leader John Horgan and Green Party Leader Andrew Weaver. 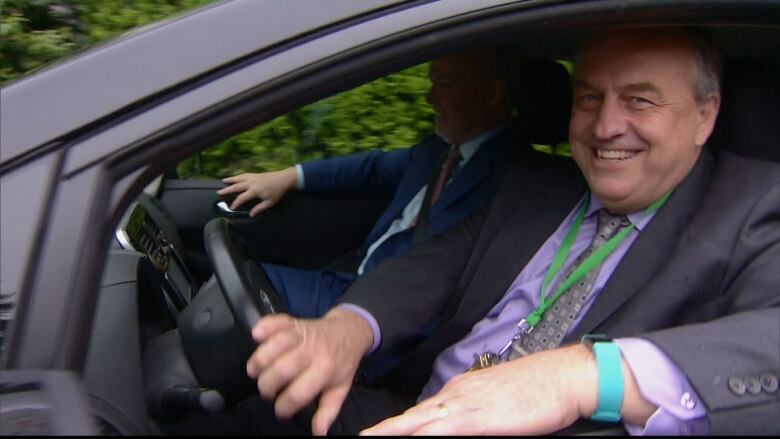 NDP Leader John Horgan and Green Party Leader Andrew Weaver pulled up to Government House in Victoria, fittingly enough, together and in an electric car. They were there to drop off a historic 10-page accord on how the two parties would work together in the next legislative session. It's the first time in Canadian history the Greens and NDP have made such an alliance, enshrining it with a formal four-year co-operation agreement. "Andrew and I have worked very closely over the past number of weeks," said Horgan. "We've brought forward the issues that bring us together and we've highlighted those issues that separate us." Weaver said the two parties spent four sessions and many hours working on the agreement. "I looked at where we were negotiating with both (parties) and I asked, 'so, what's important to me?'" The Deal. It's The One Thing that made headlines this week in the 2017 B.C. election. The One Thing is a CBC original podcast, hosted by CBC legislative reporter Richard Zussman. In episode six, Zussman talks about the landmark deal between the B.C. NDP and Green parties that changed the face of the 2017 B.C. election.